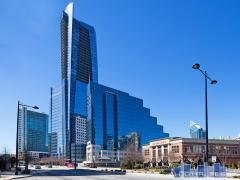 One Museum Place is located in Midtown Atlanta and contains only 42 units. The 5-story complex features great luxury amenities including a resident clubroom, pet walk, fitness center, and guest suites. Have any comments or questions about One Museum Place? Ask your question and/or share your thoughts about this Building.